Over the last two decades, there has been an increase in the number of natural hazards which have culminated in catastrophic consequences, severely impacting on people and livelihoods. 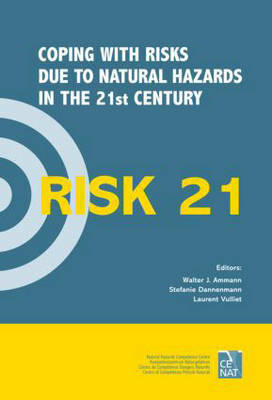 In response to this escalation, the Swiss Natural Hazards Competence Centre (CENAT) organized a workshop entitled "RISK21" at the Centro Stefano Franscini, Monte Verita, Ascona, Switzerland from 28 November to 3 December, 2004. More than 50 risk experts from nine countries participated, drawn from research institutions, private industry, governmental agencies and non-governmental organizations. The workshop focused on different aspects of risk management, highlighted current drawbacks, and discussed possible ways of reducing disaster risk. The themes addressed included economic, technical and social issues related to disaster impact, risk analysis and assessment, risk perception and aversion, risk dialogue and sustainable risk management.